Abu Dhabi carrier Etihad Airways will operate only its jumbo Airbus A380 jets to Paris from October 1, the airline revealed on Tuesday. Etihad began operating the A380 on one of its two daily flights to Paris Charles de Gaulle in July 1, 2017. Flight EY31 leaves Abu Dhabi at 2.15am and arrives at Charles de Gaulle airport at 7.50am. Return flight EY32 departs from Paris at 10.40am and lands in the UAE capital at 7.30pm. The airline’s second daily service is currently being operated with a Boeing 777-300, but will be served by an A380 from October 1, 2018. Flight EY37 departs Abu Dhabi at 9.05am and reaches Paris at 2.20pm. The return flight EY38 departs the French capital at 9.55pm and arrives in the UAE capital at 6.40am the next day. The introduction of the double decker aircraft on the second daily service will provide travellers between the cities with more options and offer product consistency on the route, the airline said in a statement. 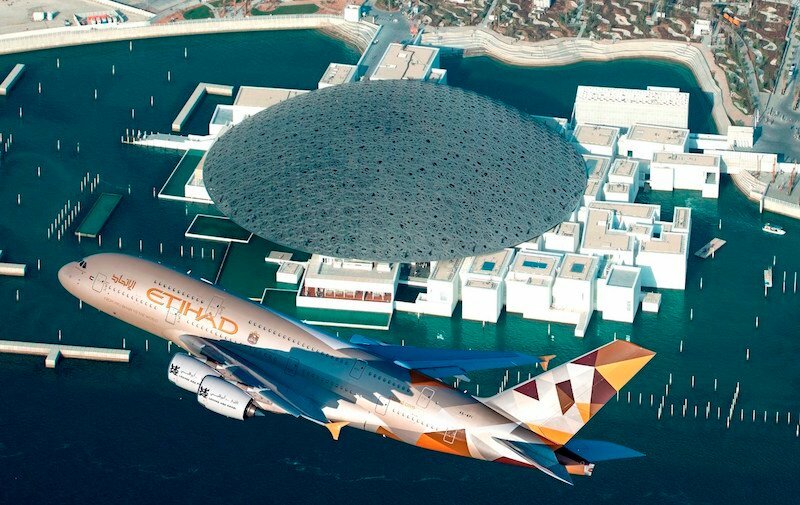 Peter Baumgartner, Etihad Airways CEO said: “Paris has always been a very special destination on the Etihad network and the number of visitors from France to Abu Dhabi, and vice versa has continued to show significant growth. The route has never been more in demand. Etihad’s A380s feature 496 seats – including two in The Residence, nine in first class, 70 in business class and 415 in the economy Class cabin. The Residence is a three-room suite featuring a living room with a 32-inch LCD monitor, bedroom with a double bed, separate en-suite shower room and dedicated personal butler. The first apartments feature a flat-screen television, a chilled mini-bar, personal vanity unit, wardrobe and a shower room. Passengers in first and business class also have access to the the Lobby, a lounge featuring two sofas and a staffed bar. The Abu Dhabi airline received its first A380 in 2014, with London Heathrow becoming the jet’s first destination. The airline also used the launch of the jumbo jet to reveal its new livery. Etihad received its 10th and final Airbus A380 in May last year. The carrier currently operates an all-A380 service to London Heathrow and New York.